Erzullie Fierce Plus Size Fashion Philippines: PLUS SIZE FASHION: "ERZULLIE IN SUPERSALE BAZAAR THIS WEEKEND!" 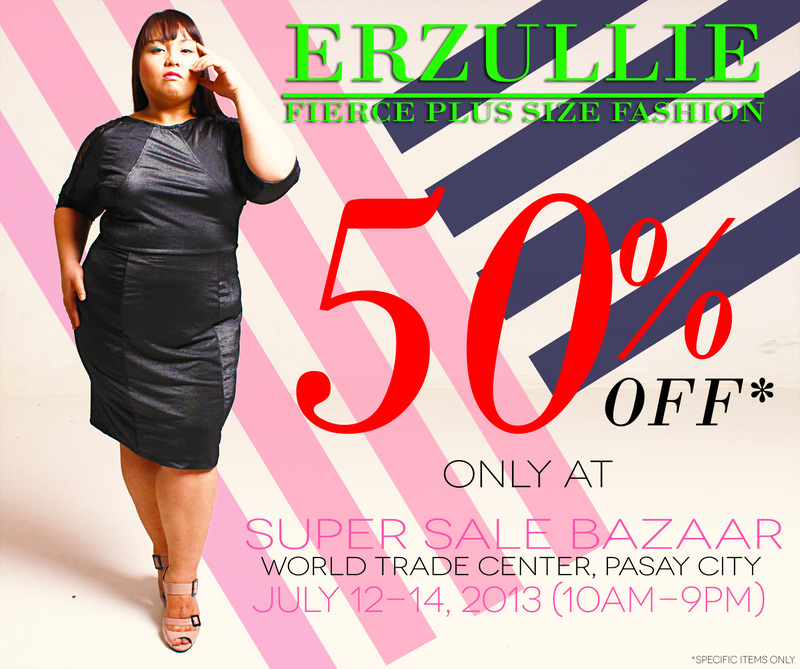 PLUS SIZE FASHION: "ERZULLIE IN SUPERSALE BAZAAR THIS WEEKEND!" Only a few days to go before the Erzullie Pre-Holiday 2013 public release at the Super Sale Bazaar, Hall D, World Trade Center, Pasay City on July 12-14, 2013 (10am-9pm)! We are very excited! And we are now holding an exclusive sale on some of our past collections! 50% off! So we better see you there, Erzulliestas! Shop for your favorite fierce plus size fashion this weekend! PLUS SIZE LIFE: "I DRESS TO IMPRESS MYSELF"